A Gary, Indiana truck driver learned recently that you can’t ever let your guard down – even for a bathroom break. While sitting at a rest stop on Thursday evening at 6:30pm, the truck driver’s truck was stolen. He parked and went inside the local restroom. When he returned, he discovered that the truck was missing. Surely, some one saw a person get inside a truck (other than the truck driver) and drive off. Then again, some gas stations are relatively quiet — except for truck drivers coming and going. According to CNET, the truck was headed for Louisville, Kentucky with 22,500 LG G2 smartphones inside. The LG G2 smartphones were destined to arrive at a Sprint retail store in the city. The total theft comes in at around $12 mobile casino million, and sources say that Sprint could see a delay in the arrival of the LG G2 smartphone to its lineup. 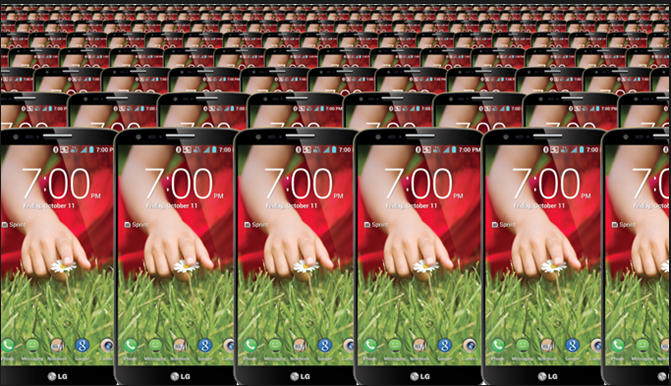 If the LG G2 smartphone does arrive at Sprint stores, there may be a shortage of the LG smartphone initially. LG announced its LG G2 as the second smartphone in the “G” series. After naming its first “G” smartphone the Optimus G, LG Electronics ditched the “Optimus” branding and simply stuck with “G” instead. The LG G2 comes with a 5.2-inch HD LCD display, volume controls on the back of the device, a 3,000mAh battery, 13MP camera with optical image stabilization (OIS), and was the first smartphone in the world to arrive with a Qualcomm Snapdragon 800 processor under the hood. LG did some study of its customers to find out what consumers wanted in the LG G2 experience. The result of the company”s work is that consumers struggle to hold their phones in one hand and reach for the volume buttons simultaneously. With producing larger screens comes a need to make large smartphones more ergonomically appealing. The G2 comes with interesting software features such as Slide Aside, QuickRemote, Clip Tray, KnockON, and others. LG announced the LG G2 smartphone in August.